True next-gen virtual reality is finally here. In 2016, the arrival of powerful head-mounted VR devices including the HTC Vive and Oculus Rift are delivering new levels of immersion in gaming that are already changing the way in which we interact with virtual worlds. But before you take advantage of the visually stunning virtual reality experiences available on the Oculus Rift and HTC Vive, you’ll want to make sure your PC meets the minimum requirements to deliver the performance and experience VR demands. Often times, ensuring your PC is truly ready for VR on the Oculus Rift and HTC Vive simply requires upgrading to a higher-end GPU such as the GTX 970 or above. 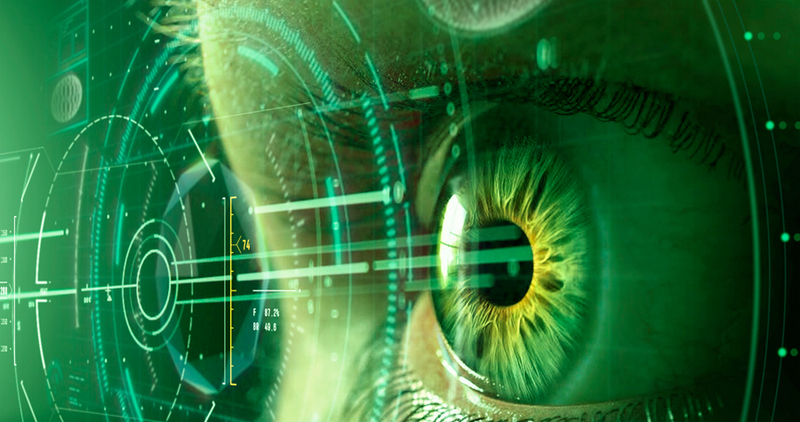 NVIDIA GeForce’s joint programs with both the Oculus Rift and HTC Vive will also conveniently tell you if you’re ready for VR. Graphics processing technology has developed to the point where synthetic worlds of astonishing detail and realism can be generated in real time and more importantly the makers of this graphics hardware are already fully invested in VR. NVIDIA’s GeForce GTX series of GPUs such as the GTX 970 (or higher) are VR ready and the company has created a whole suite of tools – VRWorks – that developers can use to more easily implement VR in their projects. Indeed, NVIDIA GeForce has been working in collaboration with many developers to fully exploit the power of their VR ready GTX GPUs. Anyone lucky enough to get in on the VR gaming scene at this early stage certainly won’t be short of experiences to keep them entertained. At launch both Oculus Rift and HTC Vive have in excess of 30 games available ranging from little indie curiosities right up to big budget triple-A titles with dozens more in development and scheduled for release in 2016. Here are a few of our favorites. ADR1FT casts you as the last survivor of a disaster onboard a space station after you regain consciousness to find yourself floating among the debris in a space suit that’s leaking oxygen. The aim is to first survive and then find a way to get back home to Earth. ADR1FT is spectacular, consistently tense and thrilling and a perfect showcase for the type of mesmerizing experience VR can deliver. Featuring a vast array of cars, motor sports and tracks, Project CARS is the most comprehensive and dazzlingly realistic racing game out there right now. And Project CARS in VR is an experience that places you right in the driver’s seat to race its meticulously detailed high performance vehicles. In a post-apocalyptic wasteland survivors collect old bits of junk to create floating platforms called Hover Junkers. In the game, players can progressively enhance and upgrade their Hover Junker as they travel around engaging in combat with other like-minded individuals online. This puzzle game sees you transporting an object from its starting position to a target zone by building a contraption out of wheels and connecting rods of various kinds. Fantastic Contraption is simple but brilliant and the experience of physically building things with your hands in a virtual environment is a delight. Set in the same massive sci-fi universe featured in CCP Games’ EVE Online, EVE: Valkyrie is a brand new game in the series built from the ground up for virtual reality. Unlike the MMO franchise it’s spun from, EVE: Valkyrie is a multiplayer shooter that drops players into the cockpit of an aircraft to partake in some blisteringly intense aerial dogfighting action in space. It’s the perfect showcase for VR’s ability to transport players to fantasy worlds. The immersive nature of VR is leading to the technology being adopted by people who want to experiment outside games, creating experiences rather than traditional video games. Everest VR, for example, is actually an interactive recreation of an ascent of Mount Everest and has come about through the collaboration of development studio Sólfar Studios, movie effects company RVX and technology provided by NVIDIA VRWorks. Sólfar Studios utilized NVIDIA Turbulence to bring dynamic and stunningly realistic snow storms and winter effects to Everest VR. 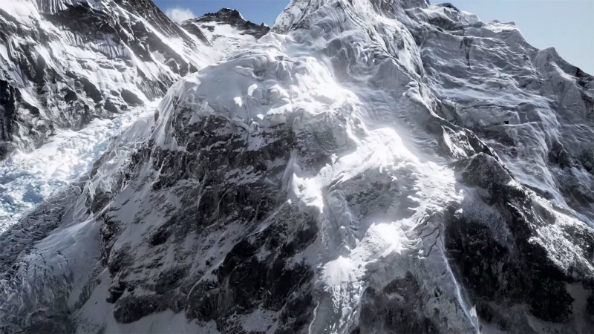 They also looked to NVIDIA VRWorks Multi-res Shading to ensure they were delivering the performance and level of detail needed for creating a virtual exploration of Mount Everest. The way we consume TV and cinema is changing too thanks to VR. It’s already possible to view 3D movies and Netflix content through VR headsets albeit in a fairly passive way. However, one company, VRSE, is ahead of the curve when it comes to VR based visual entertainment. It produces short 360 degree films in various categories that take you on a journey. Stor Eiglass, for example, puts you in a jet pack and sends you on a psychedelic flight over a futuristic city. The Source, on the other hand, enables you to travel alongside 13-year-old Ethiopian girl named Selam who has the daily struggle of trying to provide fresh water for her family and complete her education. The mix of documentary, music, cinema and news is fascinating and points the way for other creative developers, news agencies and filmmakers who are coming to the new technology in ever increasing numbers. Indeed, there is already interest in creating content for VR from big name Hollywood directors including Ridley Scott and Steven Spielberg. The art world is also catching onto VR in a big way. The Dali museum is currently hosting an exhibit in which visitors can don a VR headset and take a trip inside the surrealist artist’s 1935 painting Archaeological Reminiscent of Millet’s “Angelus”. One of LA’s leading art galleries De Re is allowing Oculus Rift users to explore their exhibits remotely. The creation of art is also being transformed by VR. Virtual Reality already has its own killer app for artists. Tilt Brush enables users to paint in 3D from inside the workspace. The results are startling even at this emergent stage of the art form. Having covered gaming, cinema and art, the next question we ask of VR might be: what else can developers leverage VR for beyond entertainment. Surgical Theater is a company specializing in surgical imaging that is adopting VR technology as part of its suite of tools to improve the medical outcome of patients undergoing complex procedures. By combining CT and MRI scans and technology afforded them by NVIDIA GeForce GPUs and NVIDIA SLI technology, surgeons can use a fly-through of the subject’s anatomy, step inside their anatomy if you will, and improve their understanding of the procedure. Subsequently, the value of being able to scan and reproduce procedures in immersive 3D for trainee surgeons to learn from, rather than messing around with crude models or dummies, is not to be underestimated. Among the cacophony of excitement in the media regarding the entertainment possibilities of VR, other important applications of the technology are not quite as well highlighted such as its usefulness in therapy and in helping the disabled. At a basic level, people with disabilities can have experiences that would otherwise be physically beyond their reach, such as surfing and mountain climbing. In addition, architects are using VR when designing buildings with disabled access to try out new ideas before construction begins. On the therapeutic side, acute phobias can be treated whereby a sufferer can confront their fears, in a safe environment and hopefully reduce their symptoms. In any commercial field, there is potential for VR to drive improvement whether that be as a training tool for pilots, emergency workers and the like, as a visualization aid for architects, urban planners and engineers. There’s still a little ways to go before VR technology completely becomes part of our daily lives. This time around, however, the omens are pretty good and it’s worth looking, in closing, at what is possibly one of the most exciting areas of VR for the future, social interaction. Current social media platforms like Facebook and Twitter work on the basis that users post information and photos of themselves for other interested parties to check out. It brings people together, sure, but it’s not like sharing a virtual space with them. Facebook has also started experimenting with utilizing VR to interact with others on social media in new ways. With VR it’s possible to hang out with your buddies or visit your family in a virtual space. Maybe watch a movie together and chat about it. The phenomenon of socializing in VR is already happening. AltSpace VR is a social media platform designed specifically for VR. It’s a place where your onscreen avatar can meet up with other people online to take part in a whole range of activities scheduled at specific times. There are lectures, Spanish lessons, Dungeons & Dragons sessions, live comedy acts, a movie theatre, cool places to hang out like penthouse apartments or a desert island. It’s highly probable that bringing together people from all around the world will prove to be the key to VR’s success.